And so it’s finally here. The most anticipated month of the year, December. 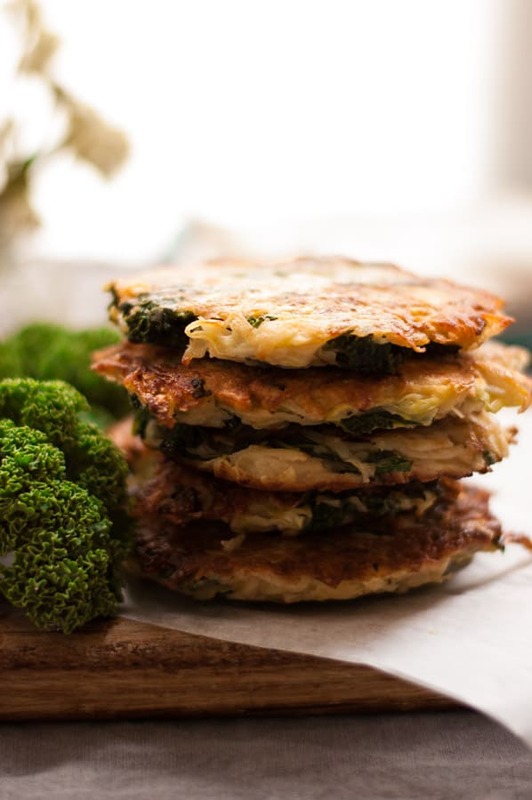 And I thought I will throw a vegetable related recipe, before all the chocolate and sugar madness hits us 🙂 So today’s recipe is for delicious potato rosti with kale and white cabbage, but may as well be called ‘potato rosti with whatever you have left in your fridge at the end of the week and begs to be used’. 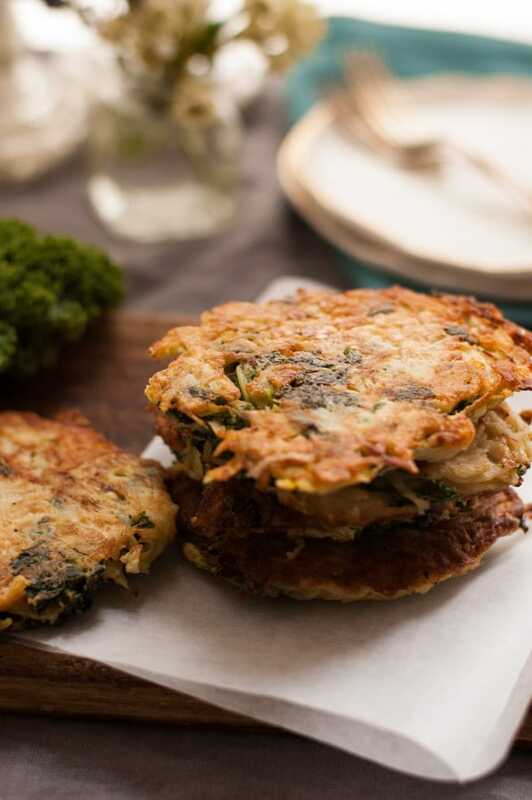 When we were growing up, potato rosti was on the menu at least once a week. Quite often they are also served with a dollop of soured cream, and yes, you read that right. 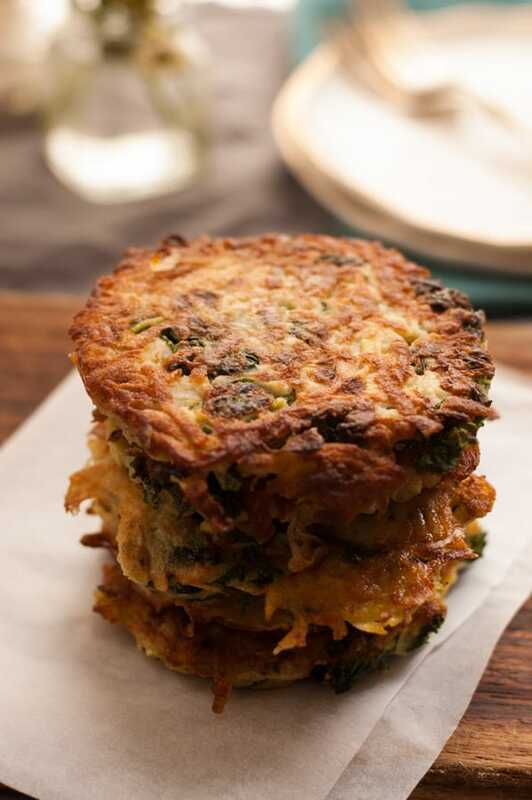 Another great thing about them is that you can use pretty much any vegetables and incorporate them into your rosti. So any really sad looking carrots or broccoli will have pretty perfect use here friends! Cheer up all you sad looking veggies! I’m using some white cabbage and kale as main ingredients alongside with potatoes. 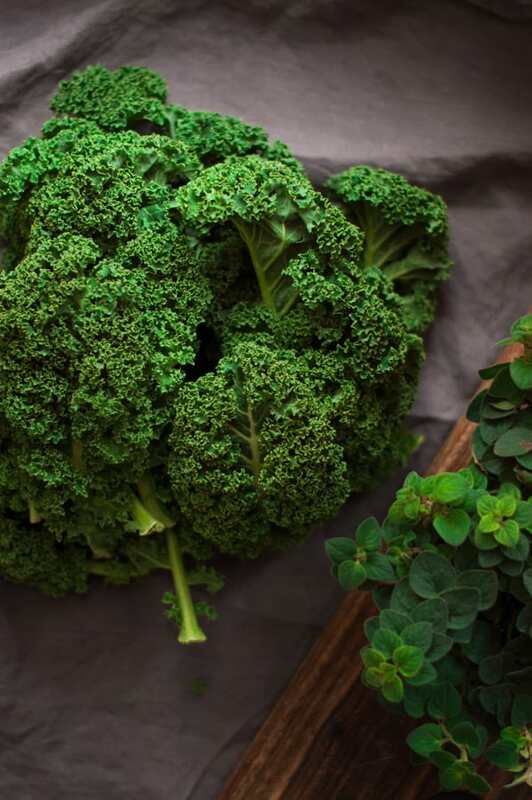 Kale is an excellent source of so many vitamins and minerals, and I do love to add it to my smoothies or salads, purely to give them nutritional boost. You can learn more about amazing health benefits of kale in this article here. 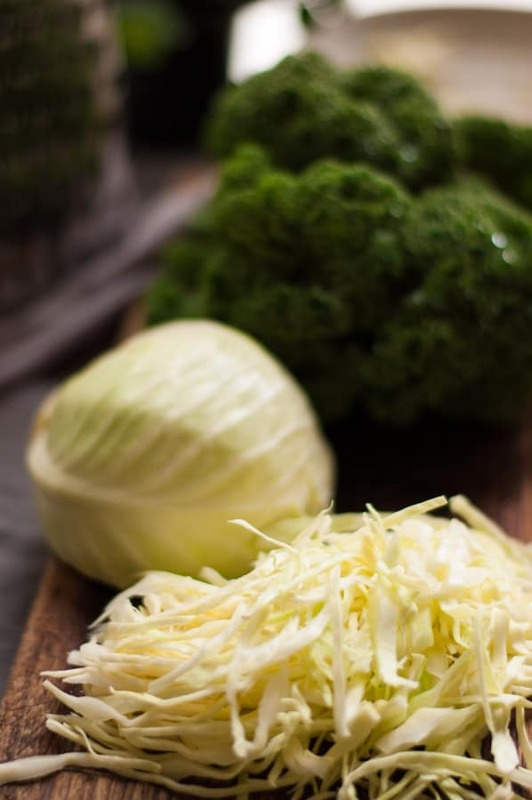 White cabbage adds an extra texture and just as kale, is full of so important for your body nutrients. Perhaps you didn’t hear that before (although, I’m pretty sure I wrote about it few times already 🙂 ) but I’m a potato addict and can’t even start to imagine my existence without them. 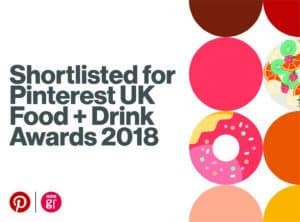 Maybe because I was brought up in eastern Europe, where potato is almost like a religion, or maybe it’s just because it doesn’t matter how you prepare it, it will taste brilliant. So you can bake it, boil it, roast it, mash it, fry it or grill it. And then there are all the different ways of cutting the potatoes. And that is what normally defines the dish. 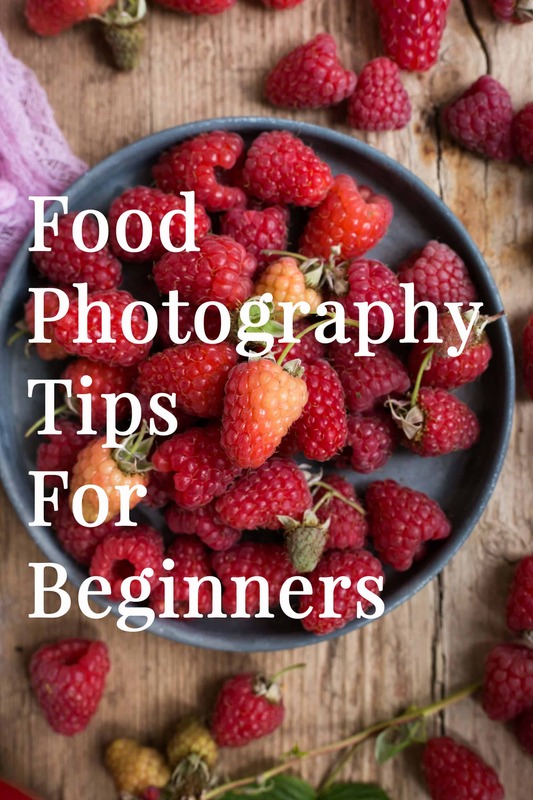 Take french fries for example. Everyone knows, that cutting spuds into thin sticks (a.k.a. ‘batonnets’) will make fries. 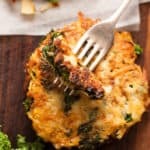 Just like grating the potatoes will give you potato rosti. 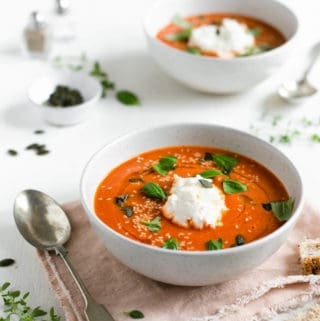 This texture gives them that extra ‘oomph’ and makes them so tasty! If using fresh vegetables, make sure to blanch them before. Why blanching vegetables, you may ask. Well, it stops enzyme actions which can cause loss of color, texture and flavor. It also cleanses the surface of dirt and brightens the color of veggies. As a general rule, it shouldn’t take longer than a minute. So a perfect and really quick way to keep these tasty greens at their best. However, using cooked or roasted vegetables is also fine, just skip the blanching part and mix them with potatoes. 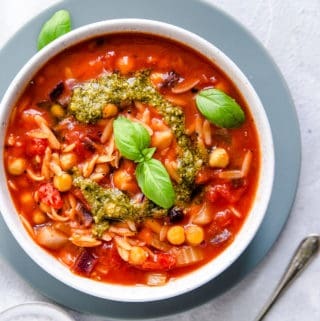 Such an easy and tasty way to save the food from being wasted (and you from being hungry 😉 And just in case if you are not sure what to serve them with…how about some homemade spicy harissa or sweet chilli sauce to start with? 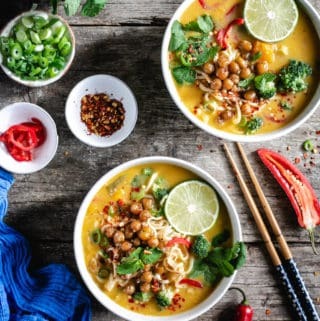 This recipe is fully vegan, and due to no added flour, it is also gluten free. I do like to add a bit of kick to my rosti, so I always use a pinch of cajun pepper, but it’s totally optional. Hopefully you will enjoy it as much as I do! 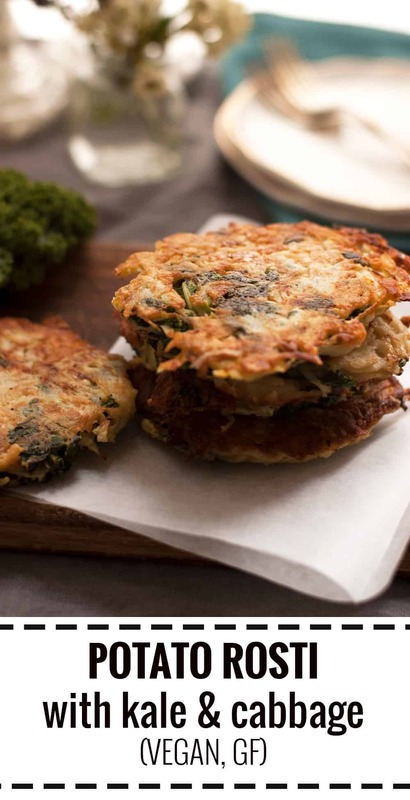 These potato rosti with cabbage and kale are great as a side dish or on their own. Great way to use all the leftover greens! Start by blanching kale and cabbage, bring a medium saucepan of water to boil and cook cabbage and kale for 30 seconds then drain in a colander. Cool under running cold water. 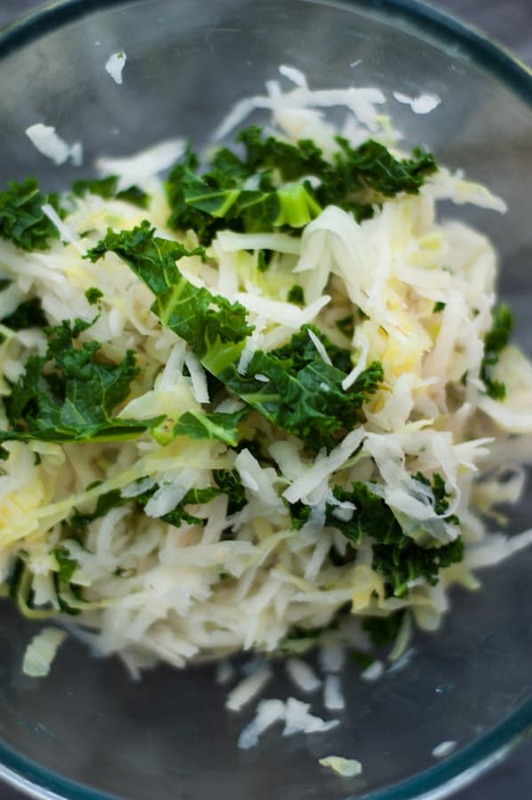 Place kale and cabbage in a clean tea and squeeze out as much liquid as possible and put into a medium bowl. Peel and grate the potatoes and onion, place in the clean tea towel and squeeze out as much liquid as possible. Add potatoes and onion to the bowl, then add salt, pepper and cajun pepper to taste. 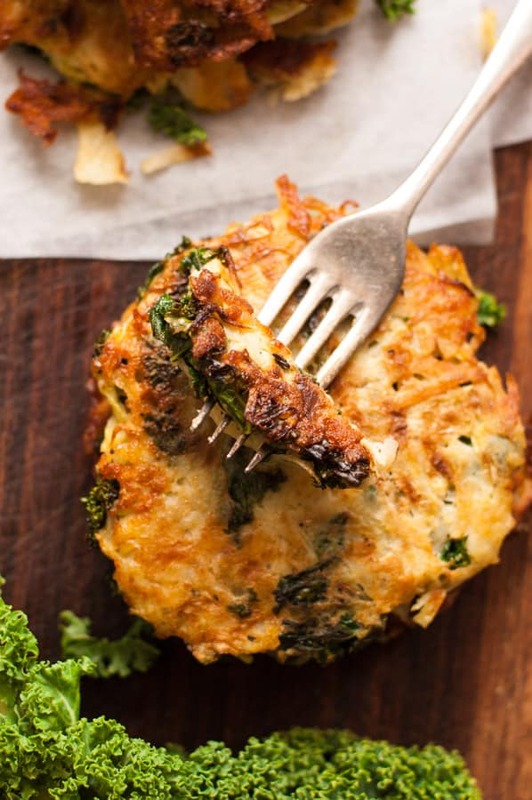 Shape into patties and flatten with your hands (you should get about 6-8 rosti). 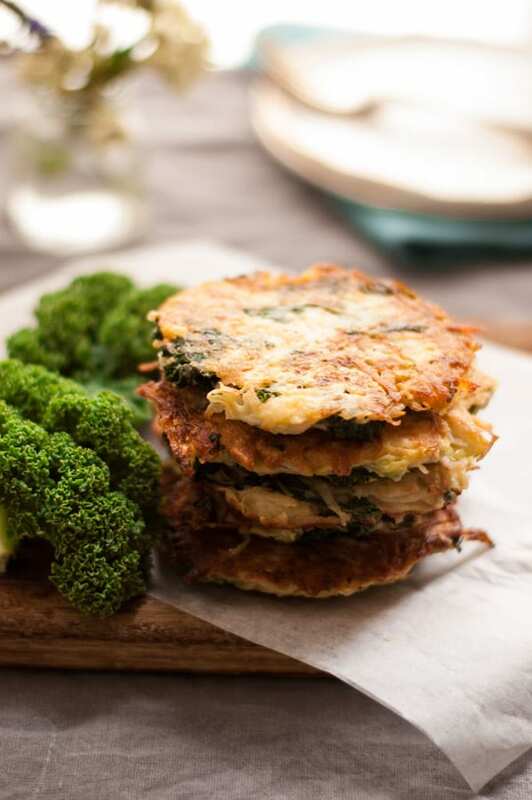 Heat the frying pan with vegetable oil and fry rosti for 5 minutes on each side until golden. Tip 1: Make sure the pan and the oil are really hot before frying rosti. Tip 2: Fry on a small heat to avoid them burning. 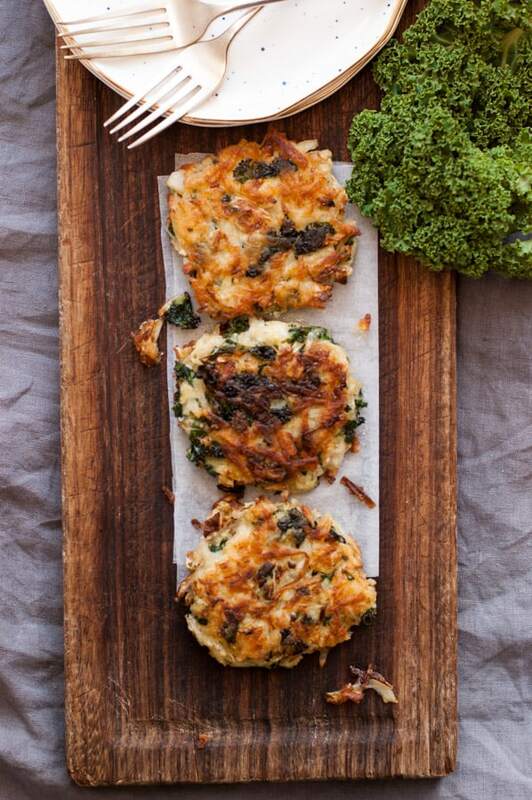 These Rosti look so AMAZING! crispy, crunchy, with soft interiors… Sign me up!! !